The nice thing about the weekend: two straight days of no terrible wagers! I know it’s scary, but Jon really needed to take a stab on that Penultimate Clue – even if François Mitterand (who died of cancer while still in office, btw) is a foreign name (pun not intended, but we’ll keep it). If Hilary doubles her score, she’ll have 36,800. 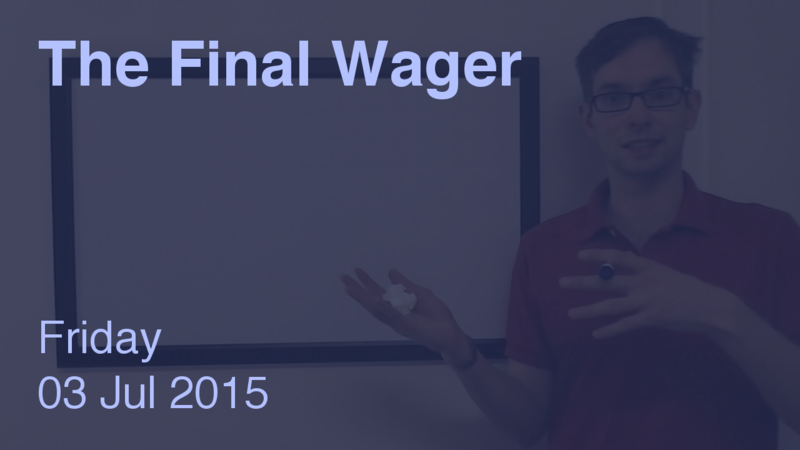 To cover this all-in wager, Erik will need to wager 16,000. An incorrect response with that wager will leave Erik with 4,800. To stay above his total, Hilary can wager up to 13,600. I don’t have a huge problem with Hilary’s wager, but it’s not the very safest.